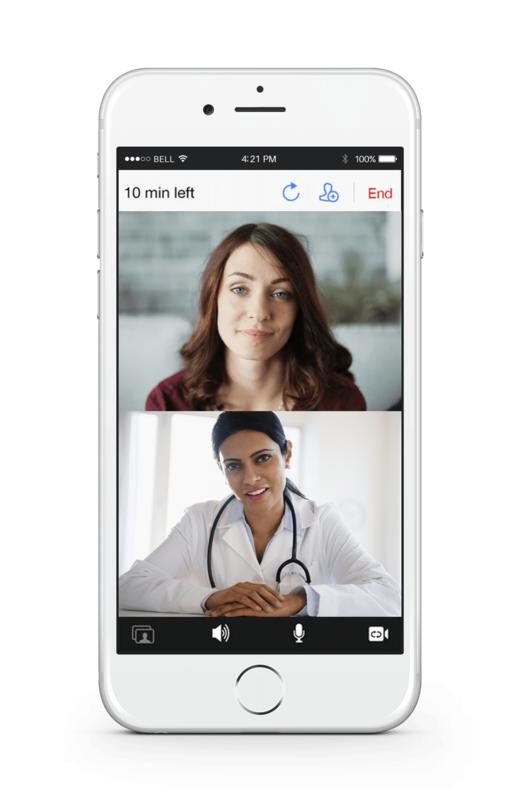 Express Care Online connects you with a Cleveland Clinic Canada Nurse Practitioner for a one-on-one video conference from the comfort of your home, office, or anywhere in-between. This service is just one more way the Brookfield Place & Cleveland Clinic Canada Wellness Program is helping you to prioritize your health. Call 416-507-6669 to book an appointment. Monday - Friday. 8:30 a.m. - 4:00 p.m.
Download the Cleveland Clinic Canada Express Care App. Get a diagnosis, medical advice, or a prescription to the pharmacy of your choice. Have a one-on-one video conference from the comfort of your home, office, or anywhere in-between. Get a diagnosis or medical advice from a Cleveland Clinic Canada Nurse Practitioner. Get a prescription to the pharmacy of your choice. Feel confident knowing your personal health information is safe and sound during your virtual visit. An exclusive offer of $39 an appointment for Brookfield Place tenants. Brookfield Place, 181 Bay Street, Suite 3000, Toronto, Ontario M5J 2T3 | 1.888.507.6885 | © 2018 Cleveland Clinic. All Rights Reserved.